Military, domestic situations can be confusing because they are governed by a mixed hodgepodge of military regulations, state divorce laws, and procedures, as well as Federal statutes. In this article, we will try and make a little bit of sense out of the confusion. In the coming weeks, I'll attempt to cover all of the various aspects of a military-related divorce or separation situation, including the "rights" of the military member and family members, military family housing, spousal & child support, ID Cards, the Uniform Services Former Spouse Protection Act, Soldiers & Sailors Civil Relief Act, domestic violence situations, garnishments, divorce jurisdiction, lawyers, and more. Overall, it's important to realize that the military considers divorce and separation to be a private civil matter, best resolved by the courts. Sometimes military spouses expect too much out of military authorities. They think they can contact their spouse's commander, and the commander will waive a magic wand and make everything better. In most cases, that's unrealistic -– just as it would be unrealistic to expect the manager at K-Mart to become involved in your marriage situation, should your spouse work there. The commander has limited authority in the area of divorce and separation. The military only becomes involved in domestic situations in very limited, specific ways, through procedures which are authorized under law or military regulation, and usually when it concerns pay, benefits, property, etc., which are regulated by federal law. In a vast majority of the military, domestic situations, the correct procedure is to obtain an attorney, and take it to court, just like everyone else in the United States has to do. Military personnel and family members all have access to free legal services provided by the "legal office" (JAG). What most people don't realize, however, is the JAG is of very little help when it comes to divorce and separation. At most, the JAG can give you general advice. They cannot prepare divorce or separation documents; they cannot represent you in court, they cannot file legal divorce or separation paperwork for you. Quite often, even the "general advice" may be of little use, as there is no requirement that a military lawyer is licensed to practice law in the state they are stationed in, so the lawyer's knowledge of divorce laws of that particular state may be limited. For military divorce, separation, or child support situations, you need to consult with a civilian attorney, knowledgeable of the divorce laws of your particular state. The lawyer you choose should also have extensive experience with military-related family law (because many things are different between military-related and civilian domestic situations). A family lawyer with military-related family law experience will know the provisions of the Servicemembers Civil Relief Act (SSCRA) and the Uniform Services Former Spouse Protection Act (USFSPA), as well as specific provisions required for garnishment of military pay. Start by calling your local bar association, and ask them for a list of divorce lawyers in your area who specialize in military-related divorce situations. Some lawyers who specialize in military-related divorce situations advertise on the Internet. Many lawyers offer free initial consultations. Take advantage of that. Interview several lawyers and choose the best one for your particular situation. The issue of ID Cards gets lots of folks into trouble. They mistakenly think that because regulations require them to submit an application for family member ID cards, and because they are listed as the "sponsor," that they can "confiscate" their spouse's ID card anytime they choose. This is not true. Family member ID cards (and the privilege granted by such cards) are an entitlement, granted by congressional law (not the sponsor). In other words, it's Congress who gets to decide who can and cannot have an ID card, not the military "sponsor." A military member who unlawfully takes a military identification card away from his/her spouse can be charged for Larceny under the provisions of Article 121 of the Uniform Code of Military Justice (UCMJ). All of the services use the same "joint" regulation which governs the issuance of military identification cards. 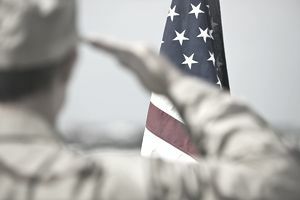 If the military member refuses to sign the application for an ID for a military dependent, the regulation contains provisions where the Personnel Office may indicate such on the application form, and issue the ID card anyway. there was at least a 20-year overlap of the marriage and the military service. "20/20/20" former spouse. Full benefits (medical, commissary, base exchange, theater, etc.) are extended to an un-remarried former spouse when:(Note: If an employer-sponsored health care plan covers the former spouse, medical care is not authorized. However, if coverage is terminated, military medical care benefits may be reinstated upon application by the former spouse. While on-base family housing is "issued" to the military member, the member does not have the authority to evict his/her military family members (only the installation commander has that authority). In fact, in most cases, when a domestic situation has deteriorated to the point where physical separation is warranted, the first sergeant or commander will usually order the military member to reside in the dormitory (barracks). It is because the military has the authority to house (for free) the military member in the dormitories, but it has no authority to provide free billeting to military spouses. However, military family housing, by law, can only be occupied by military members who reside with their family members (other than authorized exceptions, such as when the military member is deployed, at sea, or serving in a remote-tour area). The services all have regulations which require the family housing unit to be vacated (usually within 30 days) if the military members stop residing there, or if no family members are residing there. So, in most cases, in the event of a separation, the party remaining in the base housing unit must vacate (unless the remaining party is the military member and other dependents, such as children, remain). The military will not pay for such moves, however. While the Joint Travel Regulation (JTR), paragraph U5355C authorizes the military to pay for short-distance household good transportation in the event a military member is ordered out of base housing; the regulation prohibits explicitly this provision to be used for "personal problems." The regulation states: "A short distance HHG move, incident to moving to/from Government quarters, is not authorized to accommodate a member's personal problems, convenience, or morale." What Are Active Duty Death Benefits for US Military Family Members?